I’ve always had a passion for contact lenses, going back to my residency, and it’s been wonderful putting that passion into practice growth. 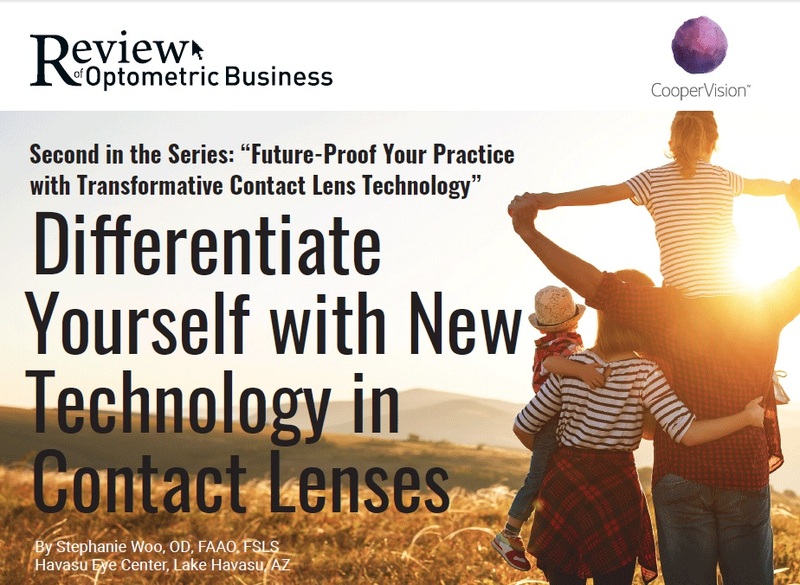 Technology has been a big driver of that growth in the seven years I have been with my practice—and presenting that new technology in contact lenses has been a practice differentiator. 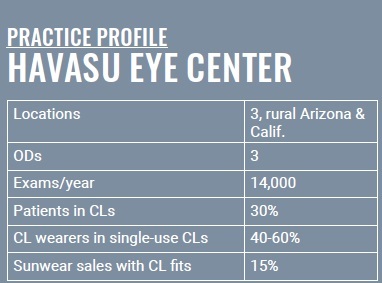 Our practice has two locations in western Arizona and a third in southern California. Our patient base is families, many at or below national income norms. 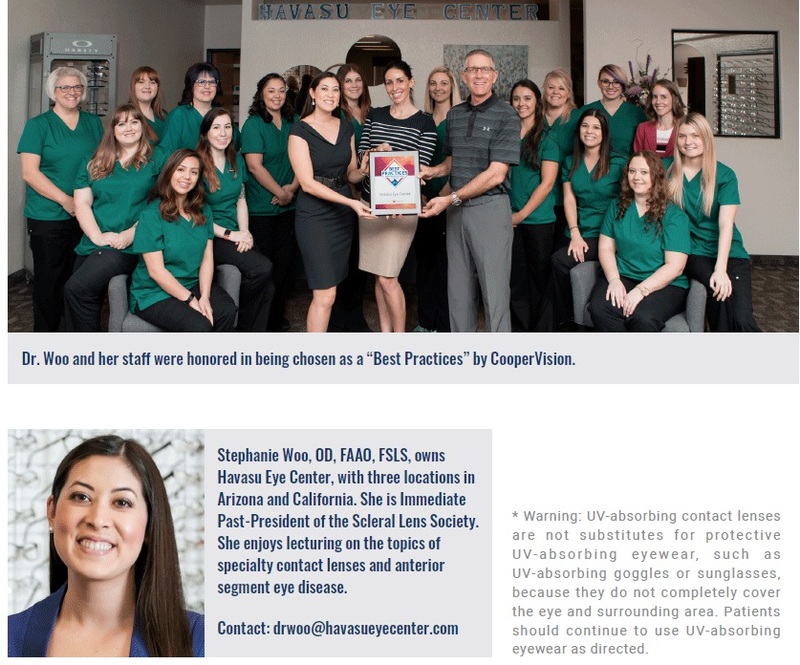 We are perceived as an innovative practice, a place where the latest technology will be found in contact lenses, as well as in PALs and anti-glare coatings, etc. We have worked hard to earn that reputation. We present the ocular health benefits of silicone hydrogel (SiHy) material to all of our contact lens patients, and being able to offer this material in spherical, toric and multifocal designs—and all of them in single-use formats—is a growth driver and differentiator for us. We’ve grown our contact lens specialty to include 30 percent of all patients. About 50 percent of all patients I personally see wear contact lenses, as I concentrate on helping patients with irregular corneas. 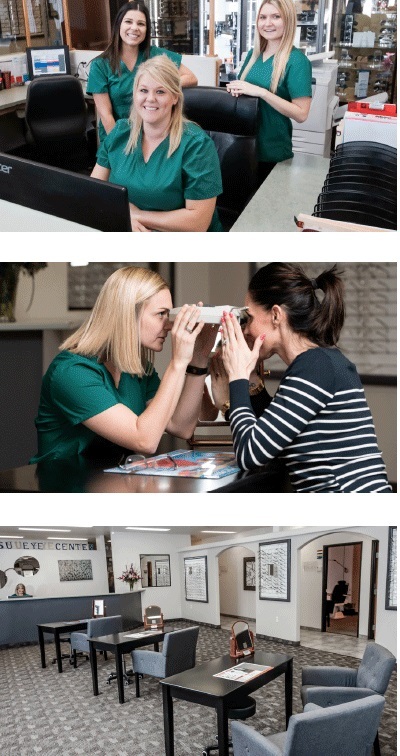 Our senior partner sees many patients wearing contact lenses (spherical, toric, multifocal and colors), and a new associate who recently joined us concentrates on pediatrics, binocular vision and vision therapy. 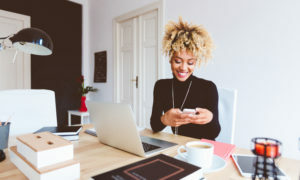 Technology also is evident in the full range of contact lenses they fit, and that includes GP and scleral lenses, as well as SiHy and other soft contact lenses. In summary, we are all about helping people and using the latest technology to do so. The following are a number of steps that we follow in discussing new contact lens technology and demonstrating to using the latest technology to do so. 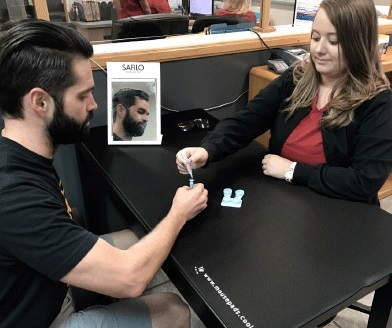 The following are a number of steps that we follow in discussing new contact lens technology and demonstrating to patients how it benefits them in comfort, performance and a healthier lens-wearing experience. All of these features are valuable to our practice. 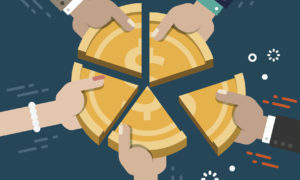 Having an option that is affordable is very important to us. In a region where there are over 300 sunny days per year, UV protection is also an important feature that we look for in a lens to help protect our patients’ eyes. Lastly, the SiHy ensures good oxygen transmissibility to promote a healthier lens-wearing experience. A big part of serving patient needs is moving them up to the latest technology that offers the best in performance while promoting a healthier lens-wearing experience. Having the clariti® 1 day family of lenses in the same SiHy material makes it very easy for me to move patients into a design that may improve their visual performance. Moving a patient into a multifocal lens when it’s in the same SiHy material means that the lens comfort is maintained, and the better near visual acuity creates a “wow” factor. When it comes to astigmatism, if I see a patient with as much as 0.75D of cylinder, I’m going to reach for a toric lens in the same high-oxygen SiHy material. The key is to put the lens on the eye so the patient can experience the improvement in vision over a spherical lens, and with one-day contact lenses that is easy. We drive contact lens fits by being proactive in two ways: We ask questions that lead to a discussion of contact-lens wear, and we present the cutting-edge technology that makes today’s contact lenses so comfortable and high-performing. We have a ton of kids in our practice, and at a certain age I will suggest contact lenses. I ask about sports like gymnastics and cheerleading, sports where contact lenses offer a great deal of freedom. The contact lens of choice for all children who want to be in soft lenses is a daily disposable. We explain that reduced risk of eye infections and improved compliance are factors in this decision. 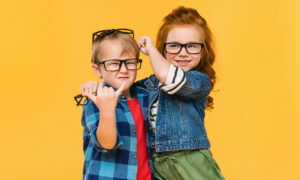 We also explain that, in the case where children are only wearing their contacts part time, this is the most sanitary and convenient option for them. We also have many older patients, and there is considerable interest among them in contact lenses, if you present them as an option. I ask about special events: travel, weddings, sports. “By the way, there are one-day contact lenses for occasional use,” I say. “Have you thought about contacts?” Many patients have the perception that they can only wear glasses or only wear contacts. Many do not know that they can wear contacts part-time. This is why it is important to educate them on all of their vision-correction options. We play videos in the waiting room, and they feature new technology in contact lenses and optics. Then, in the exam room, the patient may say, “I just saw a new contact lens where you can see clearly at near and far….” The patient begins the conversation; we provide the solutions. 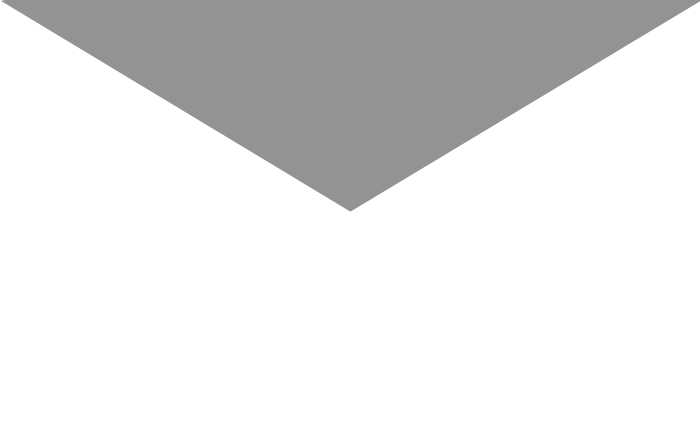 Providing solutions with the latest technology is one thing that sets us apart. Being located in a rural setting, and with a significant number of low-income patients, you’ve got to be ready to treat nearly everything that walks in your door. Patients appreciate when you can provide solutions the same day as their exam, and one-day contact lenses are great in filling that need. In the technology discussion, we also talk about blink rate. Here, the technology we value for convenience can create problems, as blink rates have been shown to slow down with digital device use. So we talk about maintaining good blink rates. We also talk about other comfort factors, like maintaining lid hygiene and taking supplements like fish oil that may improve comfort. Protection from UV rays is a big part of our tech discussion. It’s important to me, as this is a very sunny area, and a lot of patients work or do sports outdoors. I ask about work and leisure activities like boating and biking. I tie this into technology and how a UVA and UVB blocker helps to protect patients. * This, in turn, leads to sales of premium eyewear, as well. SiHy contact lenses once were a premium option, but the cost to wearers has come down to where it no longer is a barrier to acceptance. Also, rebates are a great incentive to remove any cost resistance from the equation. 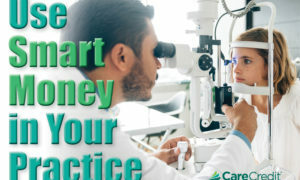 Our approach is to present the patient with the cost of their annual supply of lenses, minus insurance coverage and rebates so they can see what their real out-of-pocket costs will be. Notably, with one-day lenses there are no lens-care solutions to purchase or lens cases to keep clean. Showing patients this breakdown and putting it in cost-per-day can encourage patients to purchase from your practice, instead of taking their script elsewhere. 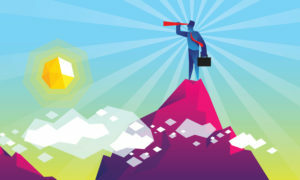 For our practice, differentiation is a way of life, and technology is integral to that approach. We tailor each presentation to each person so we can best treat all of their eyecare and eye health needs. And we emphasize the “why” of what we are prescribing and how it promotes a healthier lens-wearing experience and visual performance. This is key to closing the loop in how technology serves the patient’s ocular health—and how patients accept and benefit from the new and differentiated products we prescribe.